The High Load Tribometer is designed with high torque capability for loads from 0.5N to 500N. A large coated 20mm steel plate ensures stability and durability of the system. The high load system has been designed with a continuous stiff arm to ensure accuracy at these high loads. Friction is measured directly with a load cell directly in contact with the arm. This model offers high accuracy for applications with high loads and friction forces. See app note for testing example. 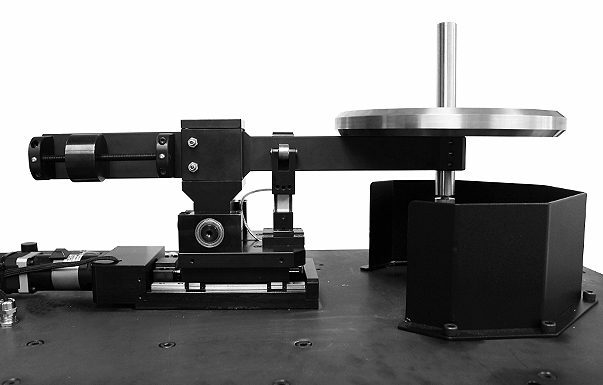 In this study, instrumented scratch testing is used to assess the failure modes of the top layers of CD and BD. This test allows users to quantitatively compare the scratch resistance of different protective coatings. eter in quantitatively evaluating the wear properties of materials such as wear rate and coefficient of friction.